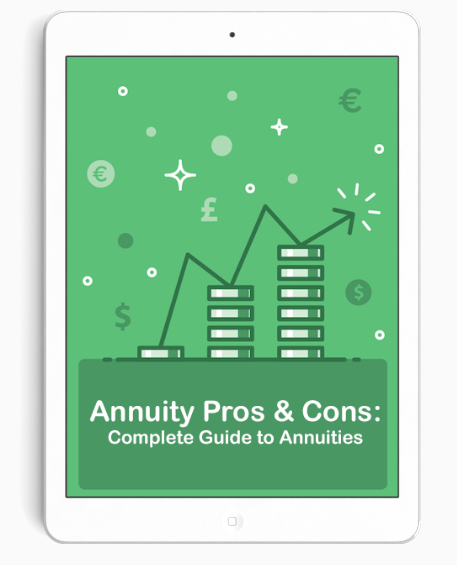 Indexed annuities track the performance of a stock market to determine the interest rate of the policy. The S&P 500 and the NASDAQ 100 are the most commonly used indices, however other choices are often available. These indices consist of a pool of stocks chosen for market size, liquidity and industry grouping, among other factors. They designed to be leading indicator of U.S. equities and is meant to reflect the risk/return characteristics of the large-cap universe. Although index annuity returns are 'tied' to the performance of these markets, it is important to note that no shares are directly purchased with the funds of an index annuity. Simply put, the insurance company will look at the overall returns of the index and credit your account based on its performance. This is different from a variable annuity, in which your capital is tied the performance of individual stock, and you stand to lose principal. Each Indexed Annuity will calculate or credit the rate of return differently. They will have a mechanism in place to protect against any downside risk, but also limit the upside returns. The three most common used to limit upside are the participation rate, the spread and a cap. The percentage of an index's growth that's credited to the annuity owner's account. It will usually range anywhere from 70%-100%. Example: A $100,000 index annuity linked to the S&P 500 with a 70% participation rate: If S&P 500 experiences a 10% growth, the account is credited with 70% of that 10% growth, giving the annuity a 7% interest rate for the year. The account value would now be $107,000. If it were invested in the S&P 500 directly, his account would be worth $110,000. The indexed annuity grew at a lower rate, but keep in mind the annuities' advantage; downside protection. If in the following year, the S&P 500 declined by 5%, the annuities value would remain at $107,000 because gains are locked in each year. The value of the direct S&P investment account would fall to $104,500. Some annuities use what is call a Spread. A spread works very similarly to a participation rate. Only instead of a percentage of total growth, it will use a set percentage that separates the S&P returns for the annuity returns. If an annuity applies a 3% spread and the index grows at 10%, the annuity would have a 7% return. Savvy investors practice capital preservation. Why? Because on average 1 in every 4 years is negative. When you're in the market for the long run your average growth is heavily affected by losses during that negative year. Anything you can do to minimize those loses is smart investing. In this light, the minimum rate is very appealing because it prevents the erosion of previous years' gains.